Free size, fits easily up to 56 inches bust size. ; Round neckline. ; Adjustable belt at waist line. 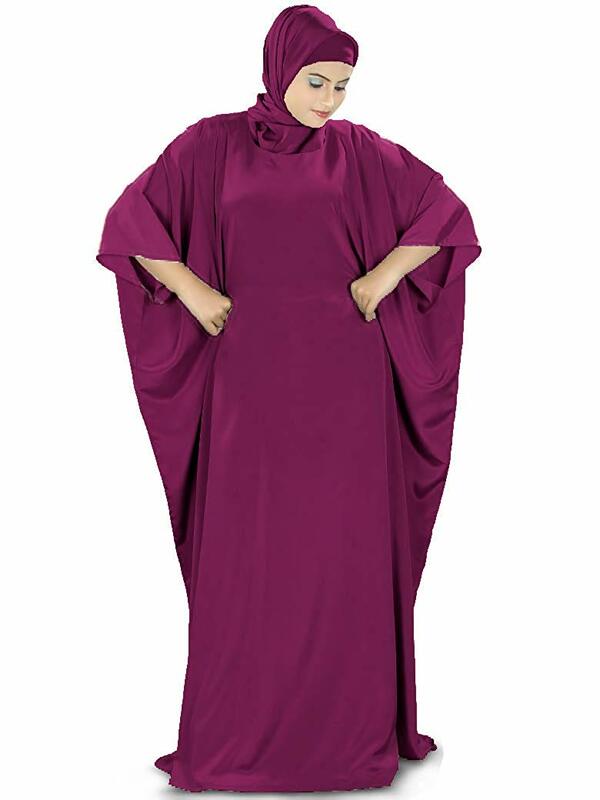 ; Kaftan Length: 56 inches/142 cm; Hijab is not included.